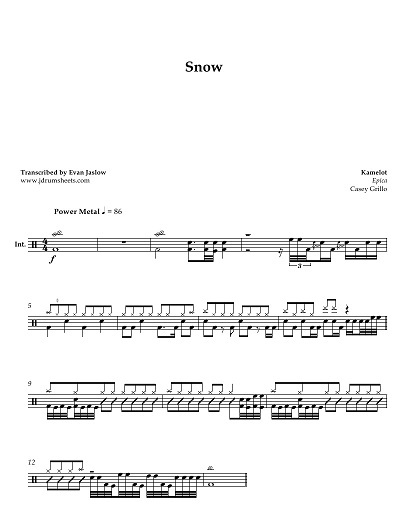 Drum tab sheet music transcription for "Snow" by Kamelot, a bonus track off the limited edition of the 2003 album Epica. Casey Grillo on drums. Progressive power metal. Difficulty 4/5. Notation key included.